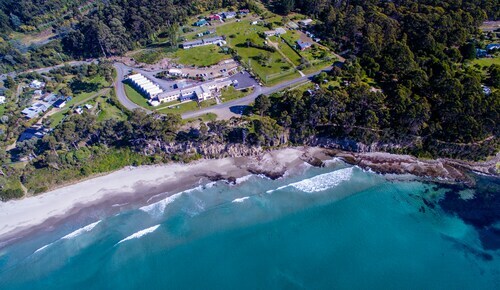 Offering direct access to the beach, this Eaglehawk Neck hotel is in the historical district and within a 10-minute walk of Tessellated Pavement and Tasman National Park. Eaglehawk Neck is 0.6 mi (1 km) away. 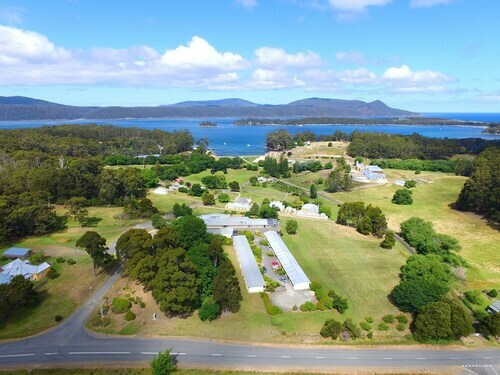 Situated by the sea, this apartment building is within 1 mi (2 km) of Eaglehawk Neck and Tasman National Park. Tessellated Pavement and Tasman Arch are also within 3 mi (5 km). 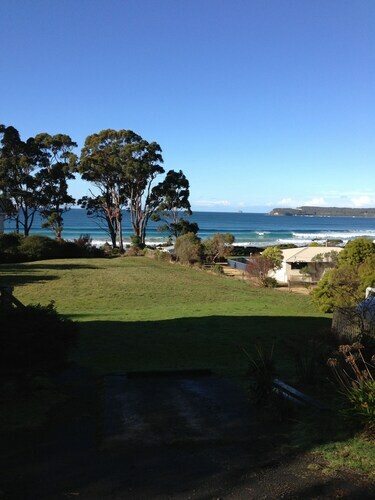 Located in Eaglehawk Neck, this beachfront country house is in the historical district and within a 10-minute walk of Tasman National Park, Tessellated Pavement, and Eaglehawk Neck. Tasman Arch is 3 mi (4.8 km) away. 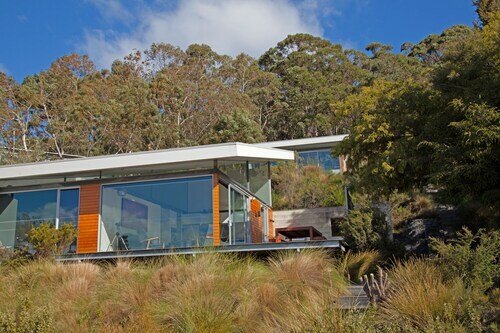 Situated near the beach, this vacation home is within 2 mi (3 km) of Tessellated Pavement, Tasman National Park, and Eaglehawk Neck. Tasman Arch and Devils Kitchen are also within 6 mi (10 km). If you're planning a trip to Eaglehawk Neck and trying to find somewhere to stay, you'll have a small selection of options at your fingertips. Select any of the 2 within 5 kilometres of the city's heart. You should check out the Lufra Hotel and Apartments and Blue Seal Accommodation. All these options are not far from the main areas. If you find yourself needing more options in Eaglehawk Neck, look into the Port Arthur Villas and the Sea Change Safety Cove. They are 16 kilometres and 19 kilometres away from the center. 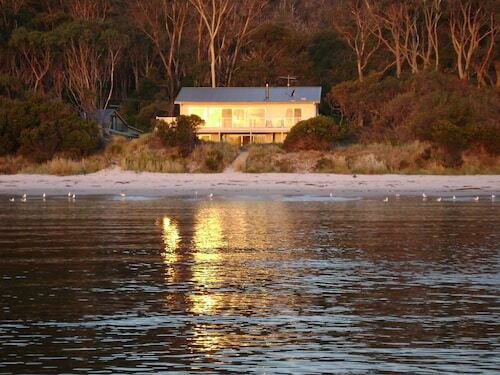 Wotif also suggests the Harpers on the Beach and the Norfolk Bay Convict Station. The first is 19 kilometres away from town, while the second is 6 kilometres away. If you want to check out some close by localities, try Port Arthur and Nubeena. 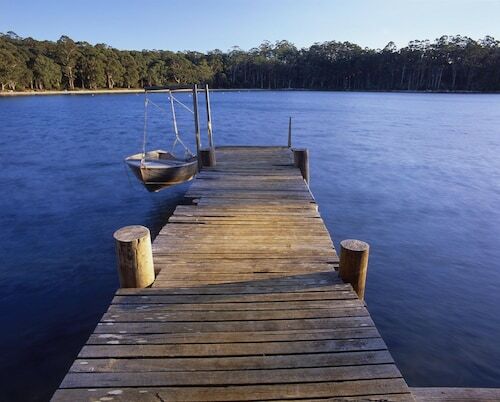 Travel 15 kilometres to the southwest from Eaglehawk Neck and you'll locate Port Arthur. That said, Nubeena is 17 kilometres to the southwest. Port Arthur hotels include the Stewarts Bay Lodge and Classic Cottages Port Arthur. 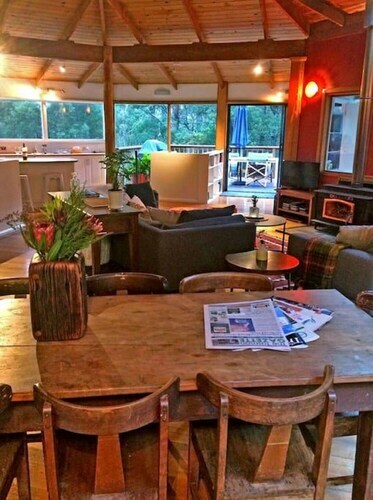 The Parsons Bay Retreat and Storm Bay Guest House are some of the choices in Nubeena. Aussies are world famous for their love of sport, so why not visit Kingborough Sports Centre? Kingborough Sports Centre is situated to the west of Eaglehawk Neck. The Villa Howden and The Esplanade Kingston Beach are near all the action. Hobart International Airport is the most convenient gateway to Eaglehawk Neck. Nearby hotels include the Travelodge Hotel Hobart Airport and the Hobart Airport Tourist Park. How Much is a Hotel Room in Eaglehawk Neck? Hotels in Eaglehawk Neck start at AU$109 per night. Prices and availability subject to change. Additional terms may apply.